Note: No spoilers here. DONTNOD/Square Enix keep their amazing winning streak going with yet another stellar installment in the quality Life is Strange mystery adventure game series. 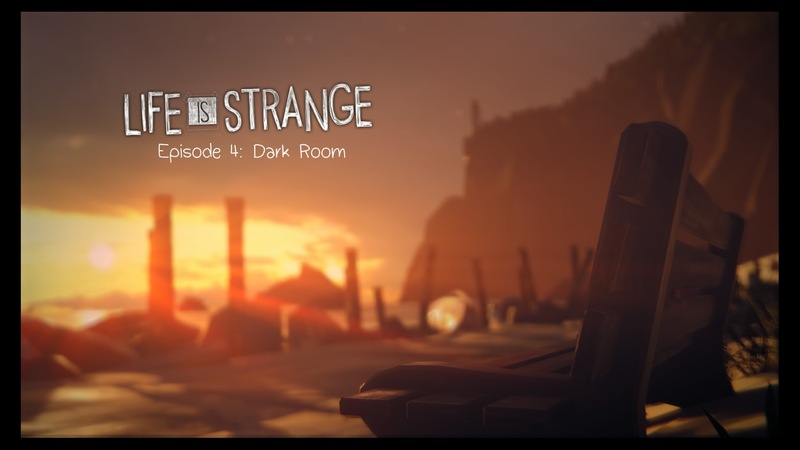 Life is Strange: Episode 4 Dark Room continues caring protagonist Max’s adventures two months after Episode 3: Chaos Theory. Developers branch, stretch and expand existing storylines without jettisoning existing relationships and other past elements that range from “hella” small to epic. The pacing in this episode can be a bit slow though most other games’ plotlines pale in comparison to this masterwork that primes players for the final episode. Players get alternate realities, surprise endings, crime/gunplay, and more mature content/themes. 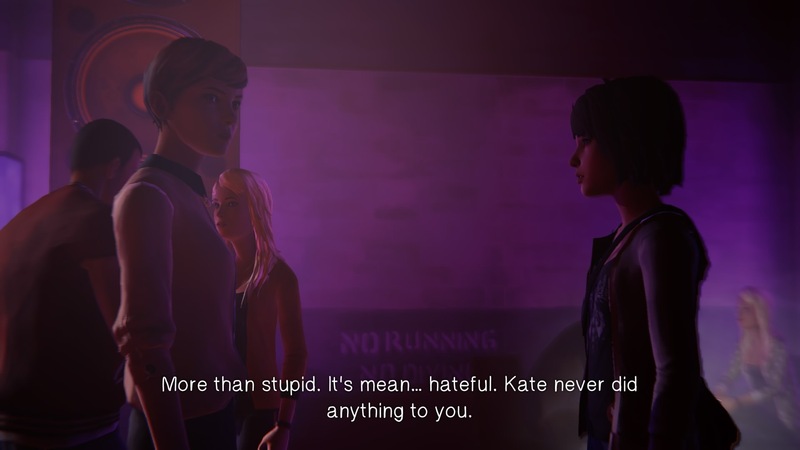 The main protagonist, 18-year-old photography student Maxine “Max” Caulfield, well voiced by Hannah Telle (Murdered: Soul Suspect) usually thinks of others before herself. Max and her best friend Chloe Price, also well voiced by Ashly Burch (Borderlands 2), make the decisions with more caution this time as Max warns Chloe that her unique powers are growing more unpredictable and seemingly limited more. Chloe’s family situation after the third episode’s cliffhanger plays out well though we don’t see much of Chloe’s Mom. Developers give no guarantees of a happy ending, which heightens the drama and excitement throughout the gameplay. Set in the Arcadia Bay, Oregon area, Dark Room is the longest of the four current episodes, all written by Christian Divine and Jean-Luc Cano, with Episode 5: Polarized (possibly a photography/big event double reference) on the way. Keep expecting shocking discoveries and twists… then prepare to keep going. The plot contains some questionable actions and plot points, which take some time to develop, but are very realistic because they are tough choices. 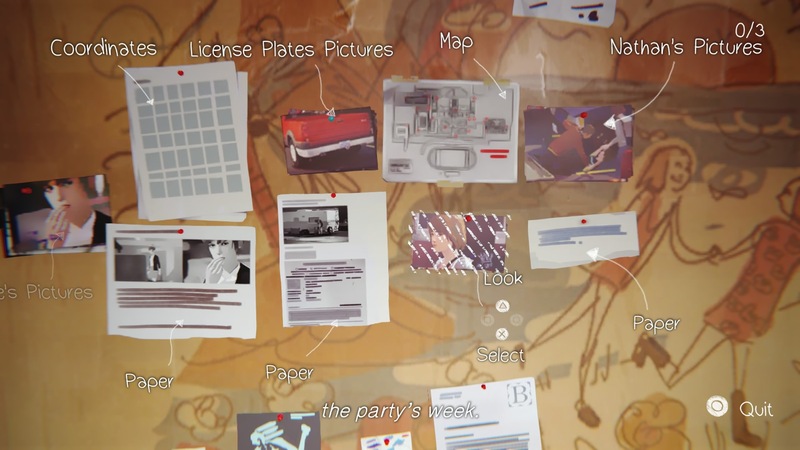 Players encounter a bit too much dialogue about what people are doing, but it’s necessary because players don’t have the means to find this information on their own, which brings in another point. The complexity of expanded possibilities probably stops developers from incorporating more, but wouldn’t it be amazing to interact with any character or contact him or her whenever you want. The limits, especially Max’s “rewind” powers, are definitely not vices, but instead become an exciting element that’s more desirable with each episode. Amid the surprises, players must focus more on existing elements (e.g. Max’s text messages) while working hard to get the final answers that will lead to the last episode. This dynamic duo presents every piece of evidence and clue for a culminating sequence in Chloe’s room. Players who remember these elements from past episodes have a definite, time-saving advantage here and they must assess them all on a big board. Developers should have added more zoom-in/out options for better readability so players can progress quicker, but don’t shy away from the challenge elements. Developers ramp up the action with life-and-death stakes, especially in an encounter with Frank who knew Rachel Amber. This encounter was an odd fit in the plot, but also shows how realistic situations (and constant pressure/stress) can change a person. Max and Chloe continue driving the action as they seek to resolve Rachel Amber’s disappearance though the seemingly impending world-ending phenomenon, aftermath of a student’s attempted suicide and other major events from previous episodes definitely factor into this great story. These emotional situations can be far-reaching into many players who experience this game, which is why players can always visit the help line at lifeisstrange.com/talk/ when the proceedings might get upsetting or overwhelming due to real life trauma/memories. The memorable visual style and graphic elements remain strong except for some obvious clipping issues that largely involve Max begin able to pass through inconsequential characters. For example, in the school yard, Max can pass right through a boy throwing a football – his arm goes right through her head. The primary voice cast also stays strong while the music soundtrack is great as always, but not as prominent as previous episodes. 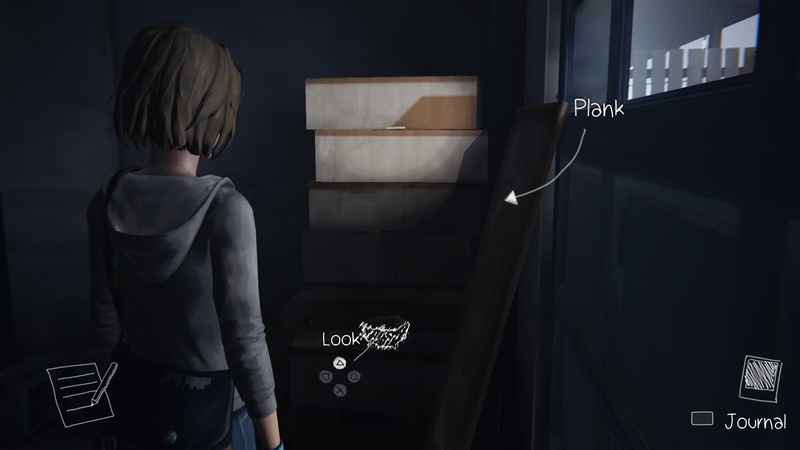 Life is Strange: Episode 4 Dark Room easily achieves some extraordinary player involvement while rewarding veteran players with quicker progress and subtle references. Players (and likely audiences) will see Episode 4 as a cautionary tale by the end and should reserve total judgment of this quality game series after experiencing the Episode 5 finale. Can only imagine what developers have ready for the last episode. If the current release schedule occurs, then Episode 5 will release on September 11. Are they tweaking the plot behind the scenes as they read player reactions from this episode? They surely feel the pressure of delivering a satisfying ending to this engaging game series. This entry was posted in Video Game Reviews and tagged Life is Strange, Michael Siebenaler, Mike Siebenaler, Tall Writer, video games. Bookmark the permalink.